WinControl Server is an industrial-standard PC running a proprietary “Service Version” of the WinControl software. This combination allows full control and monitoring of the entire audio system from a central point, plus full control and configuration of the AXYS components. Inclusion of Cerberus units extends the scope of the monitoring to include third- party components. All AXYS DANTE™ enabled devices offer control as well as multichannel digital audio transport over Ethernet. WinControl offers the system supervisor a user-friendly GUI overview of the whole audio system, with rapid access to every parameter of each system component. Faults are reported on-screen and recorded in an event log. Provided that Internet access is available, WinControl can be configured to generate email alerts in response to definable fault conditions. The Wave Player plays uncompressed sound files recorded in .wav format at 48 kHz sample rate. The files may be of any duration, and can be set to continuously repeat if desired. An important feature of the Wave player is that a pilot tone may be permanently enabled at the audio outputs. The frequency and level of the tone is adjustable. Other AXYS system components (and some third-party equipment) then monitors the pilot tone to confirm the validity of the audio routing. Mutli-level password protection is provided as part of WinControl; typically there is a “view only” level, allowing system status to be observed, a “user” level permitting component configuration, etc., and a “service” level which would normally only be available to suitably qualified personnel. 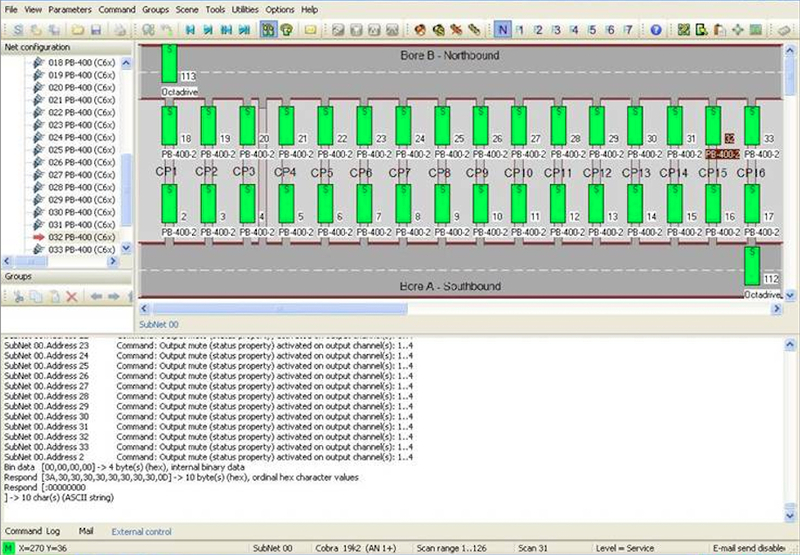 To remove all possibility of a single point-of-failure, two WinControl Servers may be installed (ideally in different locations), with divergent, redundant interconnection paths (a ring topology is common). Normally, both Servers would interface to the facility’s main SCADA, BMS, or other control and monitoring system. The external system then designates one as a master and the other as slave. Only the master issues control commands, but both Servers perform the monitoring functions and log faults. A multi-function external control port allows WinControl Server to be interfaced to external SCADA, BMS or other control systems. This can be used to trigger messages, request status reports from other system components, mute/unmute selected amplifiers and/or loudspeakers, load specific configuration pre-sets into amplifiers or loudspeakers, etc. 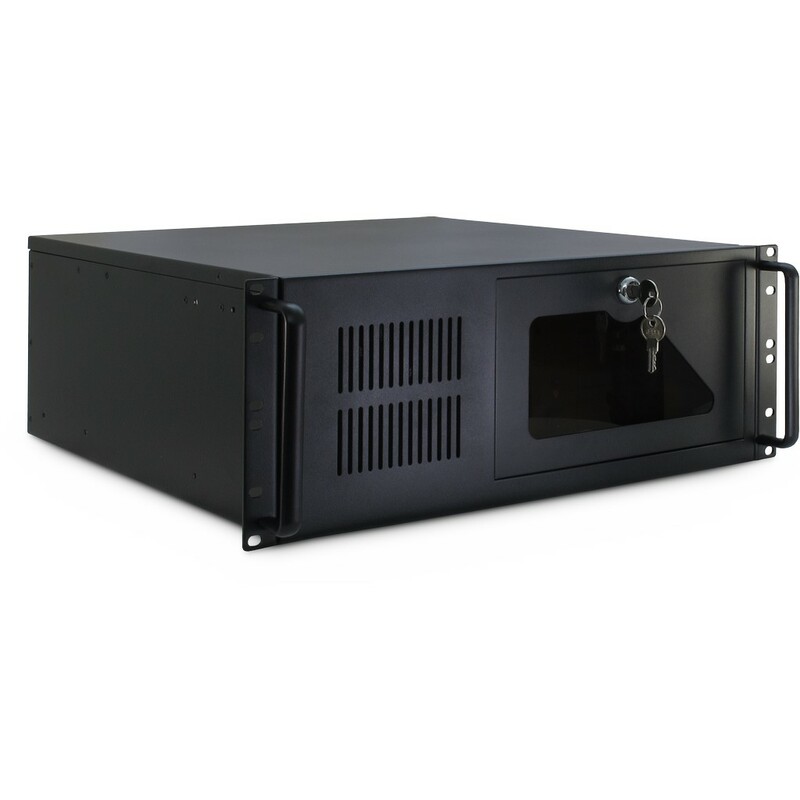 WinControl Server communicates with other AXYS products via either RS-485 or DANTE™. In the event of an application or OS crash, an on- board watchdog reboots the PC, with no impact on audio transmission through the other system components. The software has multiple, password-protected access levels. The WinControl Server (DANTE™) is Audinate Dante Domain Manager™ (DDM) Ready. 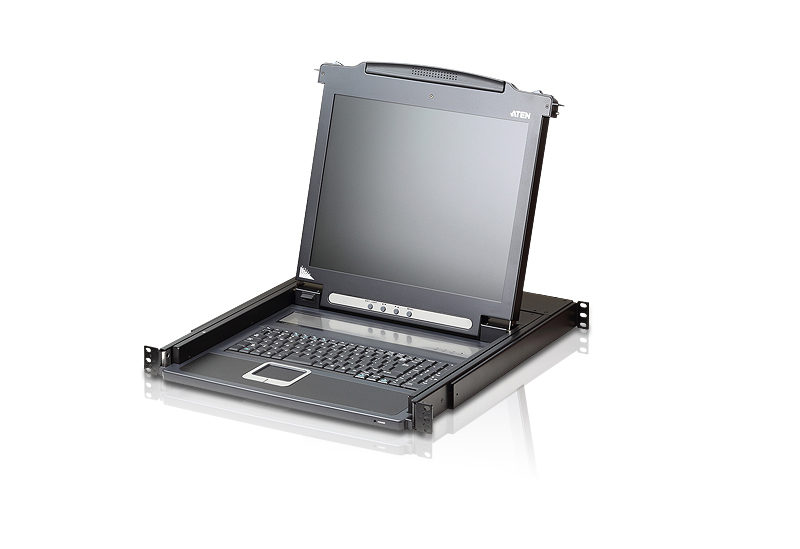 The WinControl Server comes complete with a ATEN CL1000M 17" LCD KVM 1u console.